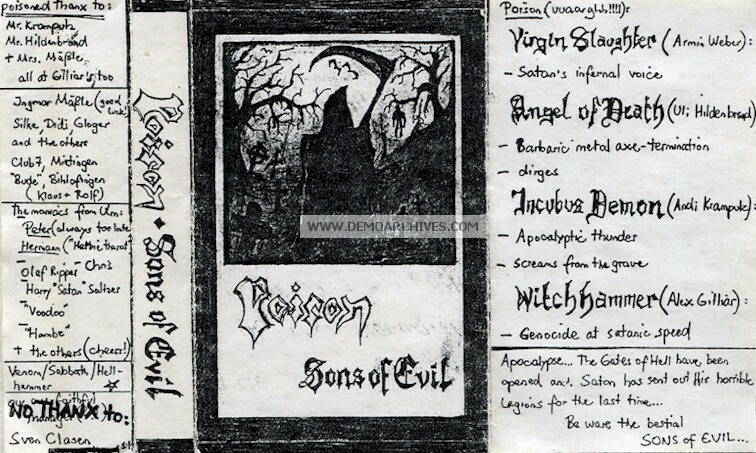 The band was extremely under-rated during its existence since '82, releasing only demo tapes during the first wave black metal era when bands like Bathory and Sodom were already reveling in the amount of attention gotten on their albums. The first official exposure of Poison I believe was on the cult "Teutonic Invasion I" compilation, which features many cult German thrash bands like Violent Force, Paradox, etc. 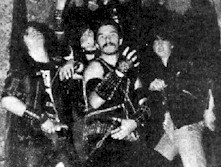 After Poison RIP, they reformed as R.U.Dead which was still quite popular in the underground, but unlike the satanic hysterical worships during Poison's reign. 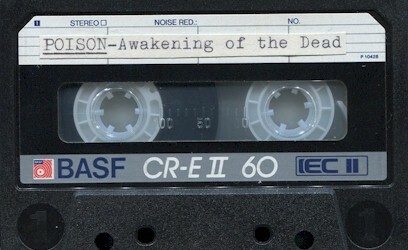 Xeroxed covers recorded onto regular non studio tapes. No lyrics. Regular Tapes. Came with a title sheet. 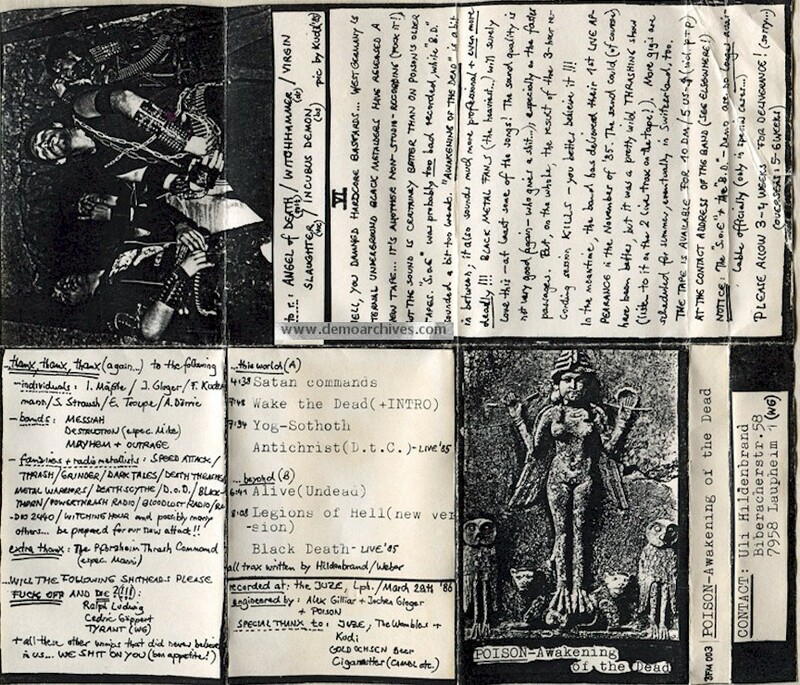 Xeroxed covers recorded onto regular non studio tapes. No lyrics. 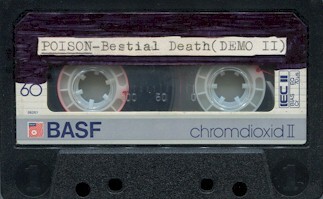 Xeroxed covers recorded onto regular non studio tapes. Folds out to A4 size. 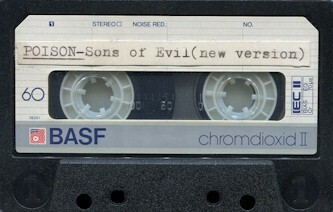 Xeroxed covers recorded onto regular non studio tapes. This demo was the first studio recording of the band.